The Star of Whatever, the second book in my series The Western Lands and All That Really Matters launches, in a week so I’ll be sharing a couple of extra emails leading up to that. I can’t tell you how thrilled I am to bring you the next part of Princess Eloise’s adventures. And now, it’s my pleasure to share with you the book’s cover. Ready…. (Drum roll.) Ta da! I love the design work Stuart Bache is doing for the series. If I can share a small behind-the-curtains detail— this is actually the first cover he did for me. 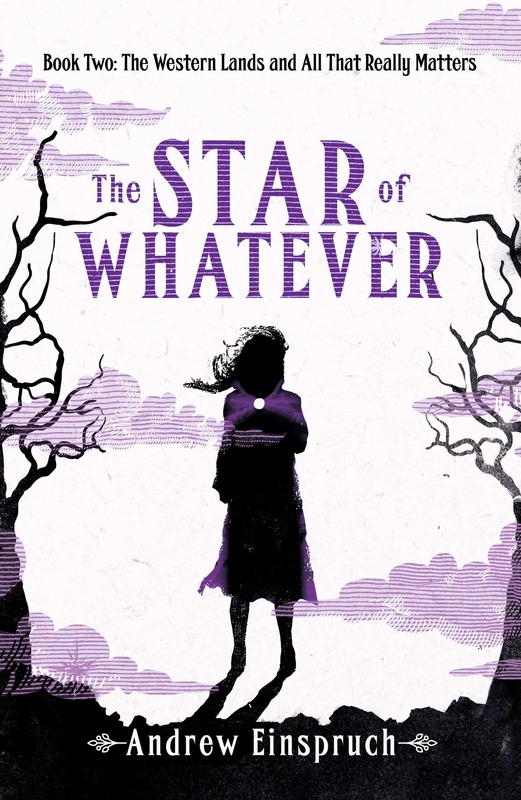 The concept was originally for book one, The Purple Haze, but it occurred to me early on that it fit much better with The Star of Whatever, so we slotted it there and tried again for the first book. What you think? Leave a comment and let me know.